Years ago, Martin cracked open his Bible and began wrestling with a few fundamental questions. He asked, “What if every single word of Scripture is absolutely true and I can trust it? How do I respond? Something in me should change, but what? How?” This audiobook is the result of that exploration. Writing as our guide, he uses a storyteller’s imagination to illuminate key moments from the Scriptures, primarily from the life and ministry of Jesus. In addition, Martin shares key moments from his own journey as a disciple - and bondservant - of Christ and a mentor to others. As a lifelong student of Scripture, Kathie Lee Gifford has always desired a deeper understanding of God's Word and a deeper knowledge of God Himself. But it wasn't until she began studying the biblical texts in their original Hebrew and Greek - along with actually hiking the ancient paths of Israel - that she found the fulfillment of those desires. 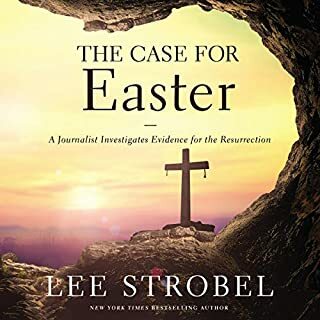 As you journey through The Rock, The Road, and The Rabbi, you'll also find additional content from Messianic Rabbi Jason Sobel throughout the book. A Heartfelt and honest journey. Join popular Bible teacher and counselor Nicole Unice to discover why the struggle is real... and what to do about it. Nicole offers practical tools to help you navigate the daily ups and downs, and ways to rewrite your struggle into a new, God-centered life story. The Struggle Is Real is an invitation to take the hard, hurtful, and confusing moments and turn them into opportunities to grow in wisdom, strength, and joy. Great book with life changing truths! Prepare for a life-changing encounter with Jesus, seeing him afresh through the eyes of three women who worship and adore him. Mary of Bethany prepares the way for the lord's burial when she anoints his feet and fills the air with her perfume. His mother, Mary of Nazareth, stands by her son from his first breath to his last, her loyalty unwavering. Mary Magdalene, delivered of seven demons, bravely supports her teacher through his darkest hours, then proclaims the glorious news of his resurrection. What a trio! What a Savior! 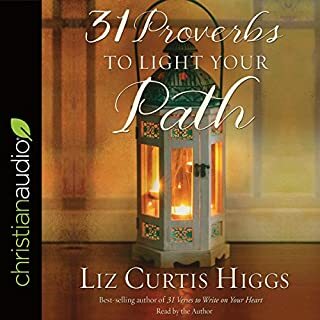 A seasoned Bible teacher and award-winning novelist, Liz Curtis Higgs combines her storytelling skills with a thorough verse-by-verse study of scripture as she explores the lives of these three Marys. 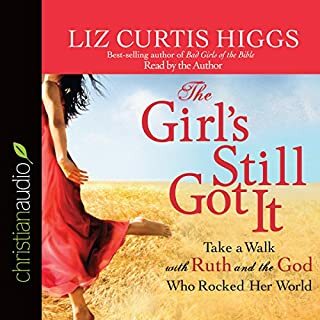 Just as she did in The Women of Christmas, Liz shows us how we can deepen our walk with the lord by following in the footsteps of The Women of Easter. If you could sum up The Women of Easter in three words, what would they be? What was one of the most memorable moments of The Women of Easter? Insight into the culture that surrounded the Biblical event. Which character – as performed by Liz Curtis Higgs – was your favorite? 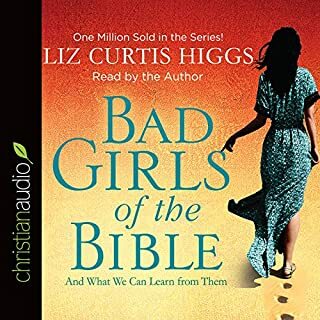 I absolutely love Liz Curtis Higgs books and bible studies. That she narrates them is truly a blessing. If you haven’t tried her, you need to. I absolutely would. It's a fresh perspective on the story we already know so well. This sheds light on importance of the female figures in Jesus' life, and how valued you are also. It's well referenced, and even has a "Study Guide" at the end for further discussion/reflection. She always sounds so genuine, like a friend you want to grab a coffee with. No, but not because I didn't like it. Because it is the Easter Story, I wanted to be in the right frame of mind, and able to concentrate when I listened. I absolutely love Liz! Her love for the The Word is so evident and presenting the characters that play a part in Jesus' life as so human really helps me identify with them and get so much more out of my own reading and study. 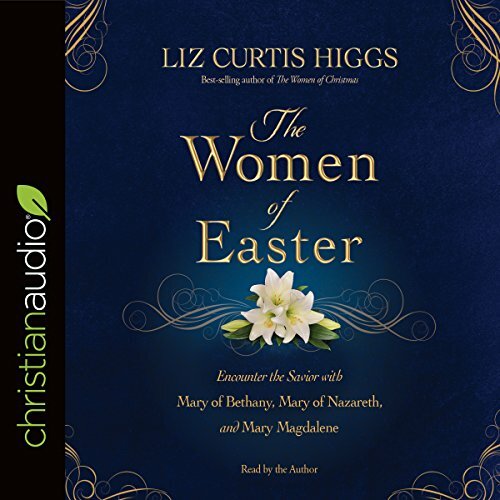 What made the experience of listening to The Women of Easter the most enjoyable? The detail and the research done for this book. A refreshing view of the women's role in the life of Christ. Liz Curtis Higgs reads it so well too. I will definitely recommend it to others. What other book might you compare The Women of Easter to and why? 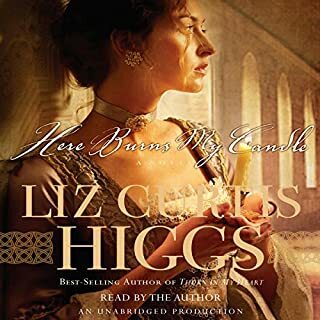 It is comparable to several of Liz Curtis Higgs other books. Always well research and a refreshing and insightful to a story we believe we know. She always has an interesting view of telling the story. 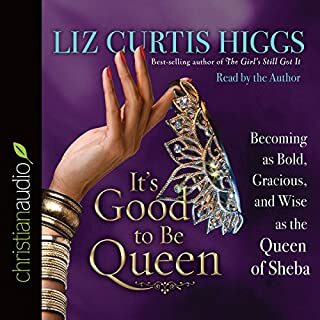 What does Liz Curtis Higgs bring to the story that you wouldn’t experience if you just read the book? Her pleasant and soothing voice. Her enthusiasm and compassion can be felt throughout the book. I wouldn't say extreme reaction but I did react to it.